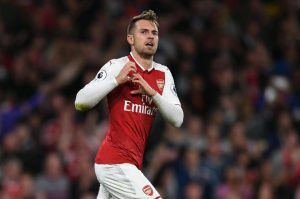 Recent reports have linked Arsenal’s Aaron Ramsey with a potential move to Chelsea after Frank Lampard’s comments about the Welshman. The Blues are amidst a pretty disappointing season, having been knocked out of the Champions League by Barcelona this week. Their league form has been pretty dismal as well, as they sit at 5th position in the table. This means only bad things for the future as Chelsea are in real danger of missing out on a Champions League spot. This could prompt Abramovich for a transfer overhaul in the summer. And according to recent reports from The Mirror, Aaron Ramsey could be on his way to Chelsea in the summer. Ramsey is enjoying a very good season at Arsenal, scoring 7 goals and assisting another 10 in just 23 appearances. Still at only 27 years of age, Abramovich feels he could offer a lot to the club. Chelsea signing Ramsey could spell trouble for the winter signing Ross Barkley. 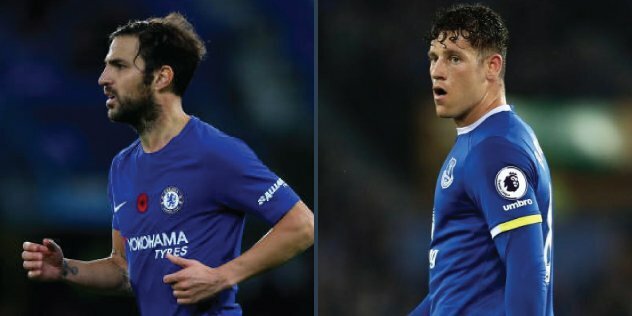 The Arsenal star plays pretty much the same position as Barkley, and his addition might mean reduction of the already limited minutes for Barkley. This could tempt him to leave the club. The Mirror also reports that Bakayoko, Fabregas and David Luiz could also be on the way out in the summer. This would mean that Chelsea would need to find replacements in the middle of the park. Ramsey would have only one year remaining on his contract by the end of the season. Moreover, there have been no talks of an extension as yet. Valued at £ 36m, he could be a good signing for Chelsea in the modern day transfer market. The Arsenal star has a great appetite for the opposition box, and thus could be a good signing on the goal scoring and chance creating front. Ramsey would be a welcome addition to the blues’ squad. He has had a fair share of injuries again this season, but when he has played, he has delivered. And if his arrival means Barkley’s departure, Chelsea could actually be the winner in this deal. Barkley himself has been injured since eternity, and his form has been poor whenever he has played. Ramsey could be on his way to Chelsea in the summer if Arsenal again misses out on a Champions League spot. Having said that, Chelsea themselves might not make it to the elite competition.